of an incident, thereby enabling the equipment to be used again within the control area as intended. 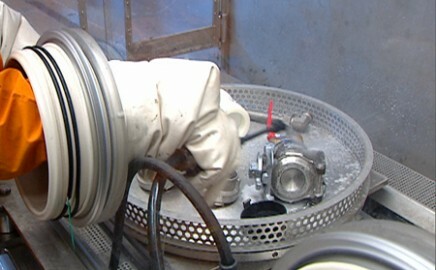 The contaminated equipment can be from KHG as well as from the facility operator. 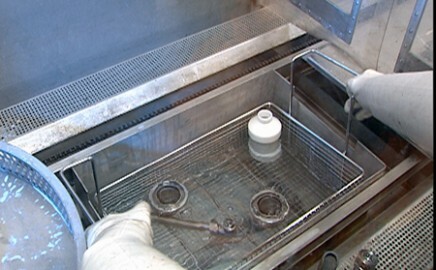 process is performed in the decontamination container. 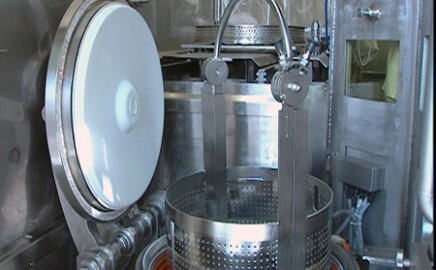 Contaminated items are delivered in 200-litre drums. for this opening, a door is also provided. Supplies of decontamination material and waste decontamination fluids collected are stored in their respective container. Waste air from each container is filtered before being released into the surrounding environment.